Lori E Meyer is an Assistant Professor in the Department of Education at the University of Vermont where she teaches in the Early Childhood Education and Early Childhood Special Education programs. 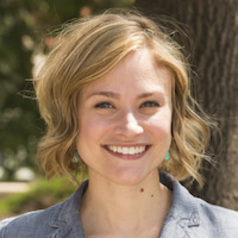 Dr. Meyer’s research focuses on young children with disabilities and their families within the context of pre-kindergarten and early elementary experiences. Specifically, she is interested in contemporary classroom environments and processes used by administrators and teachers to meet the social-emotional needs of young children with delays or disabilities. As a former inclusive early childhood teacher, Dr. Meyer is dedicated to increasing the use of evidence-based and recommended practices in the field of early childhood intervention and translating research into practice.